Medical cannabis trial offers hope to children with epilepsy. Medical cannabis trial offers hope for children with severe epilepsy. 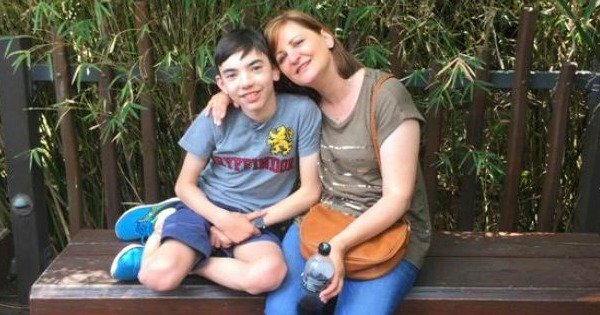 Molly Tankey knows medical cannabis may not be a miracle cure for her son David, who has severe epilepsy, but she’s hopeful being part of a clinical trial will give him a better quality of life. David was born with a condition known as Dravet syndrome. He had his first seizure when he was five months old, and now has up to nine seizures a month. “If it could reduce his seizures, it would be fantastic,” Ms Tankey, who lives in Victoria, said. The 14-year-old boy is about to start a new trial of medicinal cannabis, run by Professor Ingrid Scheffer from the University of Melbourne. Her team published what has been called the first scientific evidence that medicinal cannabis helps children with severe epilepsy. The research, published in the New England Journal of Medicine, showed cannabinol is “as good as some of the best anti-epilepsy medications”. David has a tremor, difficulties walking and hyperactivity. “We’re really hoping that his quality of life will improve,” Ms Tankey said. Of 120 children in Professor Scheffer’s study, 40 per cent had their seizures halved and 5 per cent became seizure free. Professor Scheffer said the findings were critically important. “It’s the first scientific evidence that cannabidiol is effective for uncontrolled seizures in Dravet syndrome,” she said. Epilepsy Action Australia said the study confirmed what many families have been saying for years. Chief executive Carol Ireland hoped the study prompts authorities to speed up processes to make medicinal cannabis much more accessible in Australia. “Families still can’t for the most part get access to a legal product right now, it’s still quite difficult, there’s not a lot of product around, there are issues with the price of product that is available and having someone prescribe it for you,” she said.